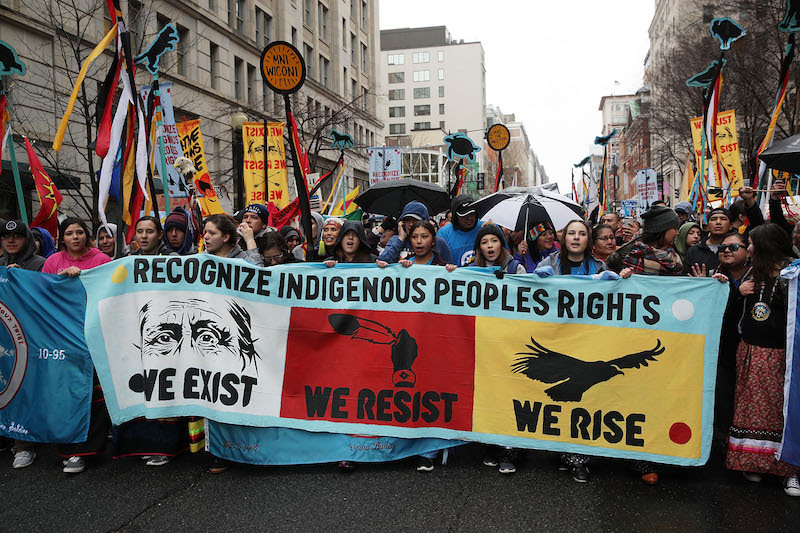 Activists participate in a protest against the Dakota Access Pipeline March 10, 2017 in Washington, DC. Welund, a private intelligence firm that promises to help oil and gas operators mitigate threats posed by environmental activists, maintains a subscriber-only intelligence platform including news reports, online information, and strategic analysis. Last year, Canada’s National Energy Board signed a contract with Welund to monitor social media activity and provide the government with weekly updates on activist threats. Privacy advocates are growing increasingly alarmed about the Canadian government’s use of intelligence ﬁrms—especially after a recent request by the NEB for contractors who could evaluate security threats by monitoring social media on an even broader scale. 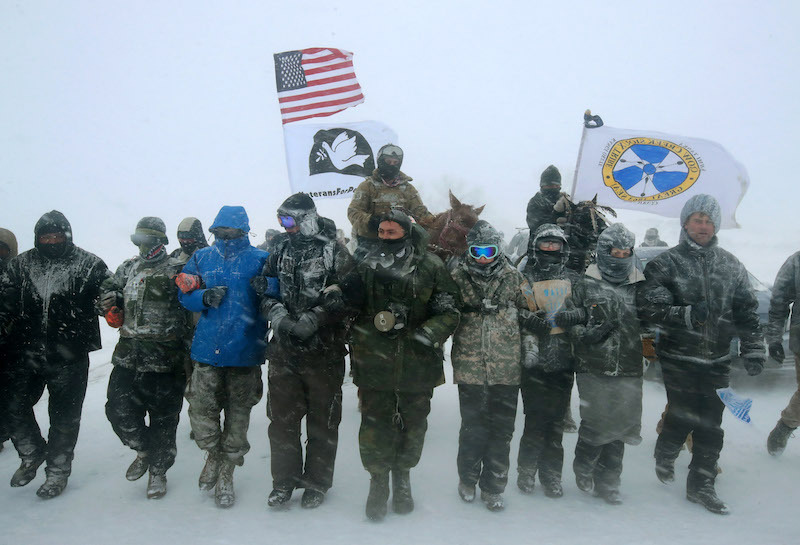 Despite blizzard conditions, military veterans march in support of the 'water protectors' at Oceti Sakowin Camp on the edge of the Standing Rock Sioux Reservation on December 5, 2016 outside Cannon Ball, North Dakota. 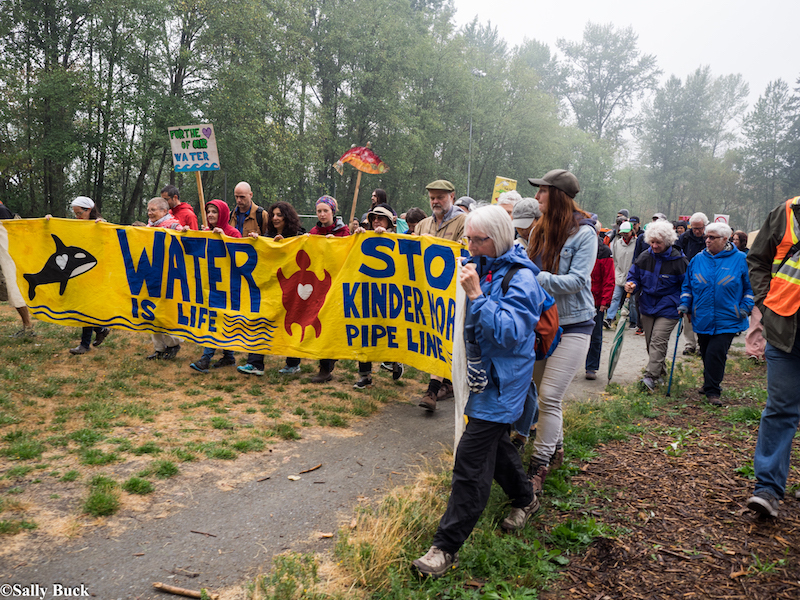 March to stop Trans Mountain Oil Pipeline in Burnaby, British Columbia, Canada.